This weekend, Lewis Hamilton headed to Jerez to have a go on a World Superbike-spec Yamaha YZF-R1, - run by the Yamaha-backed Crescent team - during a private track day. 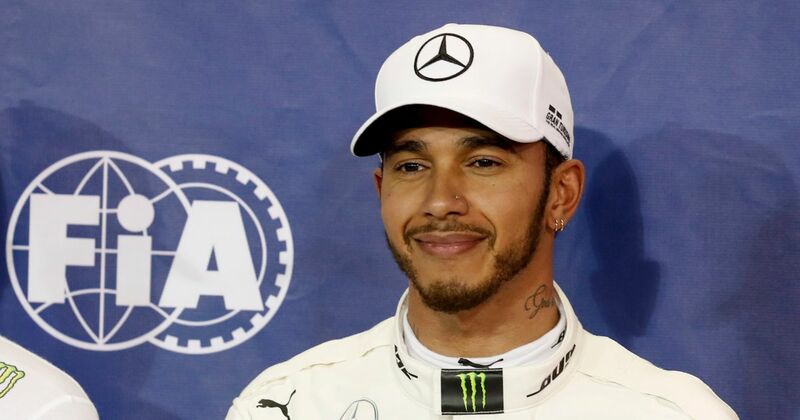 According to Italian media, Hamilton completed several trouble-free laps - well, apart from the one where he fell off at the medium-speed Turn 5. Thankfully Hamilton was OK and managed to turn in a few more laps on the all-black bike, emblazoned only with the No.44. So, does this mean Hamilton is going to quit F1 this winter and start riding in WSBK? No. He is an avid bike fan, though, and makes no attempt to hide it - he even put his name to a limited edition MV Agusta road bike, for whom he’s a brand ambassador. And earlier this year bikes were the source of his April Fool’s prank when he said he was quitting F1 to race in MotoGP. After much thought, I am making the switch to two wheels ️  Happy Easter guys! Even if Hamilton has no interest in racing bikes (yet), he’ll want to be a bit more careful when he’s out playing on them in future. Michael Schumacher dabbled in bike racing during his first retirement and injured his neck in a crash, preventing him from substituting for Felipe Massa at Ferrari in 2009. That same injury also possibly had an effect on his performance during his Mercedes comeback. On a related note, any rumours that Sebastian Vettel encouraged Hamilton to do as many bike tests as possible over the winter have originated in this sentence and are completely unsubstantiated.